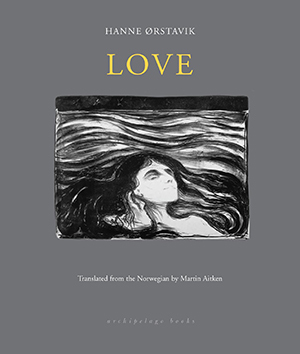 Love by Hanne Ørstavik, translated from the Norwegian by Martin Aitken, Archipelago Books. Over a single day of meandering on the roads outside of a rural town in midwinter Norway, Jon entertains himself on the eve of his ninth birthday, while his divorced young mother Vibeke, a local administrator, pursues the companionship of a traveling carnival employee at the fairgrounds. 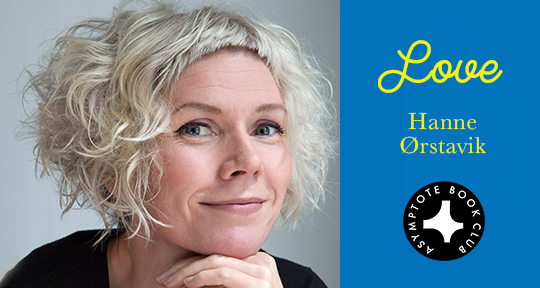 Author Hanne Ørstavik’s spare prose intercuts scenes of the characters’ days with each other, transitioning between them—from paragraph to paragraph—with an admirable grace. The consciousness of each—Jon’s flights of fancy, moments of self-discovery, and courageous engagement with the world, and Vibeke’s self-involvement and inclination to fantasy—permeates the narration. Disaster, in Jon’s case, and folly, in Vibeke’s, arise as possibilities in a hostile human world only within occasional suggestive detail, as when a dog collar and chain leash are glimpsed hanging on a nail during Jon’s visit to his neighbor, an old man who has led him down into a dark cellar, to show him, it turns out, an ancient pair of ice skates. Love is a beautiful novella of beguiling simplicity, and Martin Aitken’s translation has brought it over into an English that is both familiar and alien. Erik Noonan is from Los Angeles, California, USA. He attended Hampshire College, Utrecht University, and New College of California. An assistant editor at Asymptote, he is the author of the poetry collections Stances and Haiku d’État, as well as numerous articles on literature, film, and art. He lives in San Francisco. For more information please visit http://www.eriknoonan.net.